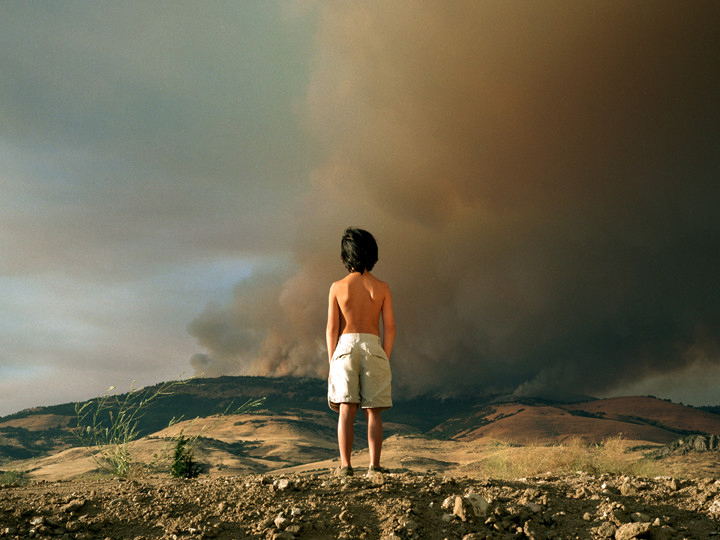 Image: © Pipo Nguyen-duy, ‘Mountain Fire,’ 2002. Join us to hear about Pipo’s newest projects, his life, his experience during the American War in his early Viet Nam days, early career as teen ping-pong champion, and more. It’s one not to be missed. Growing up close to the demilitarized zone of the 18th Parallel, Pipo Nguyen-duy describes hearing gunfire every day of his early life. He immigrated to the US as a political refugee. In his art, Pipo has often returned to the psychological or physical manifestations of war and our fragile sense of safety. His first rendition of the East of Eden series concentrated on the psychological aftermath of 9/11, when people came to realize that they cannot be certain of their physical or emotional safety. The second part took him back to Viet Nam, where he photographed survivors of the war without revealing what side of the war they fought on. Opposite to our expectations, these photographs represent a striking resilience and celebration of life that has overcome the unthinkable. He has received key grants and fellowships, such as a Guggenheim Fellowship in Photography and a grant from the National Endowment for The Arts. August 5, 2016, 7:30 p.m.